The National Academy of Medicine (NAM) has long been committed to improving the care of serious illness. As the Institute of Medicine (IOM) it authored seminal reports on palliative care and cancer (2001, 2003), pediatric palliative care (2003), and care at the end of life (1997, 2015). 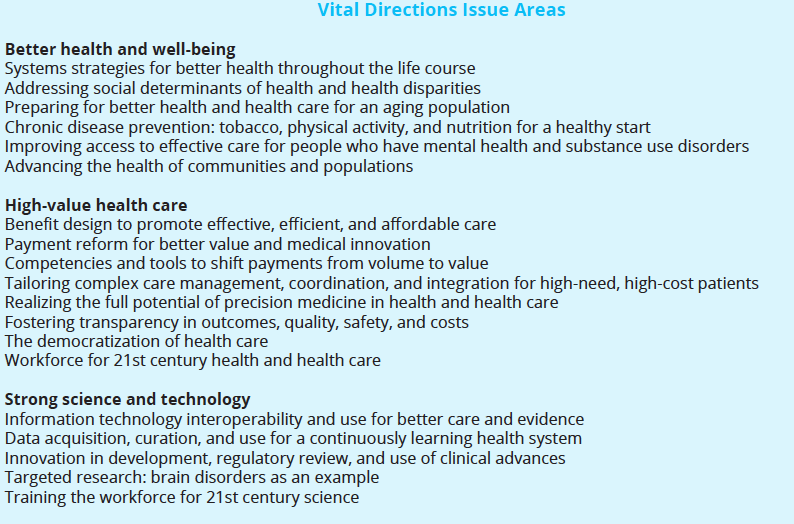 A recent effort to educate the new Administration, the Vital Directions for Health and Health Care, seeks to improve health care policy across four action priorities: paying for value, empowering people, activating communities, and connecting care. Palliative care, with its ability to improve the quality of life and care for those with serious illness and reduce unwanted/unnecessary treatments, can contribute to each of these priorities. The NAM initiative issued several discussion papers and recently presented its complete findings and recommendations in Washington. These findings were also summarized in the Journal of the American Medical Association and in a final report. palliative care by its very design improves quality and controls utilization . . . the very definition of value. Although work to improve the cost efficiency and value of health care is ongoing, efforts will fall short of the greater goal of delivering “better health” and “better results for all” unless care is truly patient- or person-centered. The health system must recognize that a person’s and family’s goals and values should drive individual treatment plans, and clinicians should be incentivized to achieve those goals, along with improving the person’s experience of care. And we know that palliative care by its very design improves quality and controls utilization (and by extension, cost) – the very definition of value. Palliative care’s focus on the person and family as the unit of care, and quality of life as the overall goal, is the way to engage and empower people in their own care. This is the much needed “pull” aspect of health care – where the public comes to demand improved care – in combination with the health system “pushing” that care out to them. Palliative care will also become more accessible via new clinical and payment models, although there must be continued investment in ensuring there is an adequate workforce to participate in those models. This priority calls for the further integration of community and social services with medical services and recognizes that, as palliative care does, “health begins in communities.” The field is working to increase in the number of community-based palliative care programs which not only provide medical care to people with serious illness in the setting most people prefer, but can also play a significant role in coordinating community-based social services and supports. Care coordination is a core tenet of palliative care, since many people with serious illness struggle to navigate what is often a fragmented health care system. As palliative care clinicians leverage electronic health records to improve patient outcomes, they have an opportunity to ensure what matters most to patients is reflected in the data. Over time, this will improve the quality of information the health system is tracking, performing against, and being paid for. To be effective palliative care champions, clinicians and other stakeholders must understand how palliative care fits into the priorities of policymakers and influential organizations. The NAM Vital Directions Initiative, which was originally developed to provide expert guidance to the new administration, is an excellent synthesis of what the NAM sees as the most pressing issues facing our health care system today. Palliative care champions should be aware of these priorities and high-level recommendations, and be prepared to discuss how we can help decision-makers achieve their goals by improving care for those with serious illness. To connect with other experts in the field, register for CAPC National Seminar 2017 today to attend sessions and hear keynote speakers from leaders across the continuum. 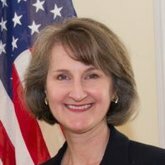 Blog post with considerations for state policy to improve care for patients with serious illness.